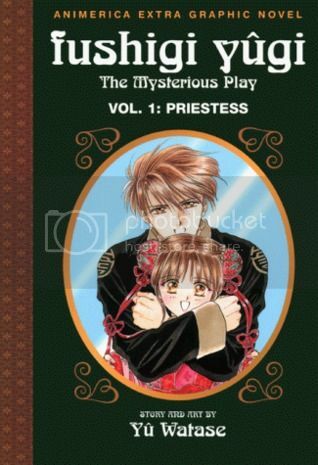 Book Summary: When best friends Miaka and Yui open the pages of an ancient Chinese book, they are transported into the Universe of the Four Gods, a parallel world to ancient China. Now, to escape schoolwork and family problems, Miaka flees to the parallel world, only to find a lot more danger and romance than she bargained for. Book Review: It had been ages when I had last picked up this series. I had just started anime and my neighbor had these on VHS at the time. I ended up borrowing them to watch the anime. I never did finish watching it even after my sister bought the series for both herself and my niece to enjoy. Now I remember why I didn't finish it: Miaka annoyed the hell out of me. If I thought Bella from Twilight was a massive Mary Sue, then I have met her cousin, Miaka. This special snowflake never seems to grow a backbone nor does she ever become detached from Tomahoma's hip. The bad thing is that everyone is forced to love her because of some prophecy written years ago. I think I would have poured more into the series if she had learned to stand on her own two feet and become something more. I had this expectation that her need to cling to Tomahoma was nothing more than a phase but it seems to never stop with her. She learns nothing and doesn't even try really once to stand on her own always believing Tomahoma will swoop in and save her. And he does. ALL THE DAMN TIME. So yeah. I tried to continue on this series but Miaka's annoying behavior was just the last straw to me ever reading this series further. :/ I think I would have preferred Yui's side.